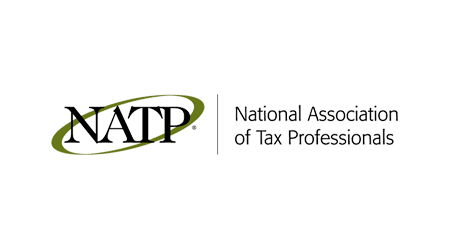 Acade provides individuals a new choice, an easy choice, in tax preparation services. An alternative to the brand name storefronts and expensive CPA's. Have your taxes completed correctly the first time by owner Darren Dowdell, a degreed Accountant, MBA and Enrolled Agent licensed to practice before the IRS with 30 years’ experience and 1000's of returns prepared. Specializing in hard working and lower to middle income individuals finding all the deductions and credits available to them as well as home office and small business owners helping them pay the lowest taxes legally possible. Darren was great and I'd absolutely recommend him! Very nice and reasonable rates. I will be returning to him next year for sure. Thanks again Darren! Darren accommodated late evening appointments and got us in and out quickly, we were able to followup with some extra documentation for deductions and emailed it to him. 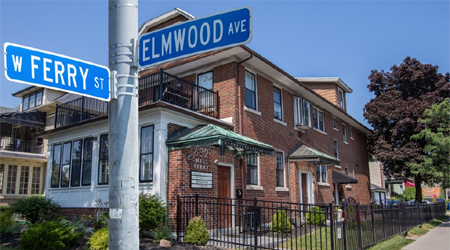 A very positive experience and convenient Elmwood Village location; we certainly recommend Darren and Acade Tax Service. Darren is like the uncle, brother-in-law, or friend's spouse we all wish we had--the one who makes the big, complicated stuff seem do-able, fair, and something we can improve on, year over year. Darren was very efficient, friendly, and helpful. This was the first year that I've had a professional prepare my taxes and I'm so grateful I did! Not only were Darren's rates extremely reasonable (I would have paid more thru TurboTax) but he also found mistakes I made in previous years' returns, which will lead to more money in my pocket once amended. I definitely plan on using Darren's expertise for my future tax prep needs! Darren is very nice, very professional and was very helpful with preparing my tax return. He explained everything in a concise and orderly manner. He even did a little extra in checking out documents that didn't even require him to look at just because he wanted to help with anything I was unsure of. Two thumbs up!!! Darren is extremely knowledgeable and helpful. He is also very accommodating and available to answer any questions you may have. I will be doing my taxes with him again in the future! 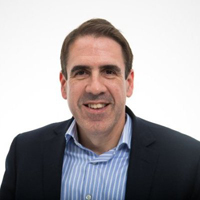 Darren is professional, personable and knows his stuff! This is the second year Darren has filed my taxes and I will be back next year! Simply the best in Buffalo! Thank you Darren!! I first hired Darren to organize my books, and to do my business and personal taxes in 2009. I was extremely impressed with the knowledge and professionalism Darren possessed. 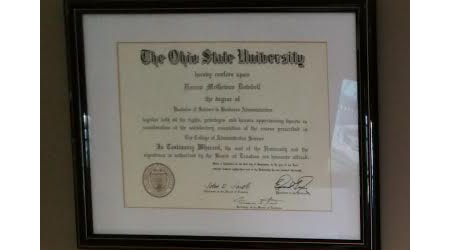 I hired him again for taxes in 2010 and also utilized his expertise with Quickbooks. He is extremely patient, and is always available to answer questions. I highly recommend Darren and Acade Tax Services to everyone. Darren processed my personal tax returns and I was very pleased with the process. He reviews all forms in detail, has a large TV screen that you can view to watch what he inputs. Darren is very patient, answering all of our questions. When your return is complete, he packages all documents very nicely for future reference. I highly recommend using his services for tax preparation. Darren is highly intelligent and extremely professional. His office is extremely welcoming and comfortable and his work is fast and accurate. I recommend Darren's services to anyone who seeks top level professionalism. My husband and I trust Darren to do our taxes ever year! Darren is professional, knowledgeable and gets the job done quickly. His fees are very reasonable. He does an outstanding job for us every year. We recommend him to all our friends and family. We would never go anywhere else! Darren has done my taxes for years. He is professional and knowledgeable. He has completed my taxes quickly and accurately. I have recommended him to family, friends and co-workers. Darren helped my wife and I with our taxes after they evolved to be a bit more complicated than we were used to. He helped make the process very clear and easy and we'll be using him again in the future. Darren prepared my taxes, he was very professional and detail oriented. Darren took his time and made sure that I not only understood the returns, but that I was also comfortable with the results. Darren also provided some helpful hints for the next year. I would highly recommend his services. This was my first year filing my taxes with Darren and I would highly recommend him. His facility is incredible secure and he explains your tax return on a large TV in the room. I was very impressed with his expertise, organization and transparency. Darren has been doing our taxes for quite a few years now. Darren takes care of everything quickly, accurately, and does it all with very fair pricing. It has been a pleasure being his client and we will continue to be one for a long time to come! SB Marketing LLC highly recommends Acade Tax Service, LLC to prepare your taxes. 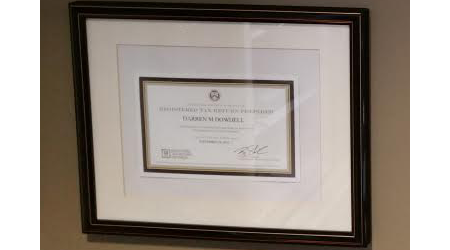 I have been working with Darren Dowdell for the last 7 years. His attention to detail, knowledge, and insight has helped with my intricate tax returns. He will do the same for you. Give Darren a call today!!! Tell him that SB Marketing LLC referred you. 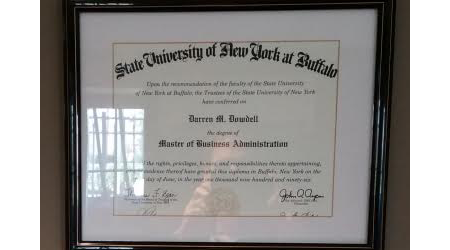 My wife and I have been having our taxes done by Darren since we moved to Buffalo 3 years ago. I would, without hesitation, recommend his services. Got my taxes done quickly and easily! Thanks! Professional and polite gentleman who answered all our questions and made filing taxes easy. Darren did a great job with my taxes. 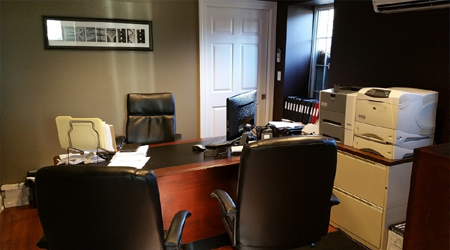 Professional, quick appointment, great office location and was able to answer all my questions. Was great... very knowledgeable and very nice. I highly recommend him for all your tax needs!!! 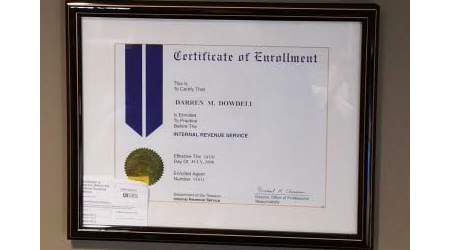 Darren Dowdell did a great job with my taxes. Before going to Acade Tax Services I dreaded tax time because my returns are complicated and I was afraid of mistakes that would cost me. Darren is calm, thorough, and really knows his stuff, so now, no worries! We have been using Darren for our taxes for many years. He always does a great job, is very professional and honest. I would highly recommend him to anyone that needs an accountant. Very knowledgeable and professional. We were in and out in about an hour. Fees are definitely fair and in line with any tax professional, and because he's an enrolled agent, you're really getting a tax specialist. Went to Darren for tax service for the first time and I loved it! He took the time to explain things to me that I previously did not understand. Thanks Darren for the awesome service! I'll come again next year and I'll be sure to send my friends your way as well. I went to Arcade after I was referred by a friend. Darren was very nice and personable during my time. He explained the process thoroughly and I was finished within minutes. I will definitely return next year! Darren is efficient and quite affordable for the tremendous amount of work he does. Darren explained and showed every part of my taxes, which were quite complex, to me when filing. I strongly recommend him to all my friends and family. Darren was detailed, knowledgeable, personable and overall provided an excellent experience for filing my taxes. I will be going back to Acade in the future, and I would recommend them to anyone looking for tax services. 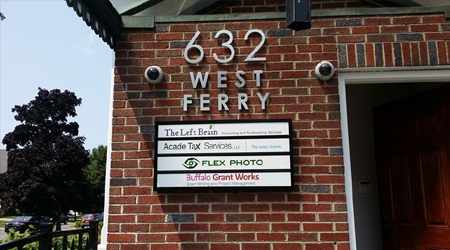 Fantastic local Buffalo business. Darren prepared my tax return. He was quick and thorough. He explained everything to me very well and I would recommend him to anyone looking for help with their taxes. I will definitely go there again! Went to have my taxes done by Darren for the first time this past week. He was very pleasant, knowledgeable and professional. Took all the stress out of what I always feel is a stressful time when filing my taxes. I would strongly recommend to anyone looking for a terrific tax guy. Have gone to Acade (Darren) now for two years. Darren is very knowledgeable, helpful and beyond efficient with tax preparation. I was in a situation where I really needed a professional to take a look at my filing and give me some reassurance on my financials. 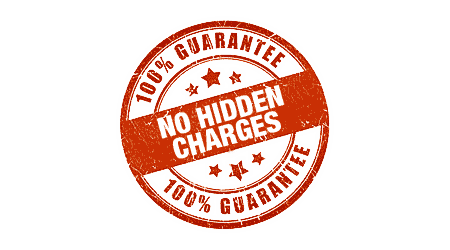 I am so glad I found Acade, as I always walk away feeling very secure about the filing and Darren is excellent with any questions or follow up you mayrequire. Highly recommend. First time going to Acade tax services and the service was exceptional. Darren is super professional and takes his time explaining and answering any questions you may have. Great service and will definitely be returning. Recommend to anyone and everyone. The service was great. He was very knowledgeable. Very nice to work with. Taxes were done and submitted within a matter of minutes. Fast and efficient tax preparation. We'd been filing with Turbotax for decades. 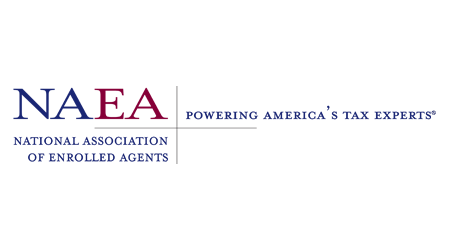 Our experience with Acade Tax Service was exceptional. In one hour Mr. Dowdell found great stuff that we hadn't been aware of. He's able to pursue inconsistencies that I had committed in years past and he will find us a larger refund on those filings. I'm very glad he's in business! Quite a difficult tax year for me and Darren zipped through it with no problem. Very professional and helpful. Thanks Darren! Great place to go if you need help with your income taxes! Excellent service, Accurate & Professional. I couldn't ask for a better experience! Tax preparer was efficient and took care of me while I waited. He was knowledgable, answered all tax questions, I thought his fee was reasonable. Darren was very courteous, professional, thorough, and efficient. I would definitely recommend his services. Darren was able to schedule an appointment with me last minute and was very flexible with appointment changes due to last minute conflicts. His service was excellent and he was able to obtain a maximum return for me for a very fair and reasonable price. I plan on returning to Darren in the future for all my tax preparation needs. If you want professional, reliable, quick, reasonable priced tax service, go here! Amazing I will never do my taxes with anyone else! Friendly, efficient, and professional! Will definitely be going back next year. Highly recommend. Darren is friendly and accommodating in addition to be very knowledgeable. I will continue to use Acade Tax Services for the foreseeable future. Darren was wonderful! Very professional and knowledgeable, and his rates are very reasonable. I would absolutely recommend him and will be returning next year. Thanks Darren!! Super friendly and professional. As a part-time freelancer I'm always nervous when it's time to do taxes but I felt very comfortable with Darren's confidence. Taxes where finished quickly and the price reasonable. Any questions I had where quickly explained. This was my first time going to a tax person and Darren did an excellent job. He made the process easy, painless (not a word usually associated with taxes) and quick. I will be recommending him to family and friends! Love my experience. Darren is professional and friendly. I'm extremely satisfied with my tax experience with Darren! He's very friendly and reviews everything with you! Great service and reasonably priced. My tax return was completed within a few hours. I would definitely recommend Acade Tax Services. Great customer service, and affordable. Darren is very knowledgeable and professional. I will definitely be back next year. Location was easy to access, Darren was very professional, easy to work with, patient with questions and thorough with explanation of taxes and summation. Was a good experience all around. I felt that Darren knew his profession very well and we were very comfortable with him. My husband and I went for a fairly simple tax return, and it couldn't have gone more smoothly! Darren worked so efficiently I barely had time to check Facebook on my phone before he was finished with our return! He was very friendly and informative. I am very pleased with how quick, professional and thorough Darren was. He explained everything there was to know and made sure I understood ever step of the process. I would definitely recommend his services! Very knowledgeable about all aspects of tax laws we needed...would have taken us hours to do what he did in minutes! Friendly, skilled, and made it very fast and easy. I really didn't have to do anything and even with a complicated tax situation is was very quick and explained well. 2016 tax prep done efficiently and on time. Price quotes fair and up front. Nice job. Thank you. I came to Acade thinking I would file an extension. Darren was knowledgeable and efficient: he helped me to see that with just a bit more information I could file right away, and he was willing to meet again the same day to finish the job. I highly recommend his services. I am so happy I found Darren! We were running behind on getting our taxes done and waited until the last minute, but it led me to Thumbtack and thus to Darren. He was able to make a prompt appointment and it took less time than he anticipated to complete our return (approx 30 mins). Darren quickly and professionally helped me with old returns, I would absolutely recommend this thorough professional. Darren was able to help me amend my tax return in record time. He was professional and courteous and kept me informed at all times. I would gladly return to him for the future tax help. Prepared last year's income tax. Fast, knowledgeable and open to answering all my questions. Able to view return on big screen. Very personable. Nice office. No complaints. Price affordable and as discussed. Will be going back in a couple months for 2016 preparation and referring others. Great service and location! Always professional. I have used Darren for the past four years. He is organized, knowledgeable and priced fairly. Highly recommended. Great tax prep !!!! Very knowledgeable and experienced. Thanks for making life easy . I'll definitely be back next year !!! Darren helped my husband and I with our tax return filing. He is very nice and professional. He tried to explain everything, answer our questions patiently. We are really happy with the service and will come back again!